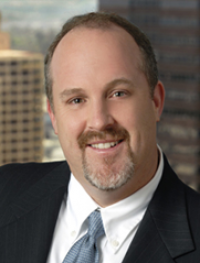 Richard Frey is a seasoned litigator working for Epstein Becker Green in Los Angeles, California. Mr. Frey’s focus is on general and complex commercial litigation and business matters, as well as unique labor and employment challenges faced by corporations and individuals. He also has significant experience in trade secret and unfair competition litigation, including litigation involving non-compete agreements. Mr. Frey previously served dual leadership roles as both the chair of Venable’s West Coast Commercial Litigation Practice Group and chair of the firm’s West Coast Labor and Employment Practice Group. He has litigated cases in both state and federal courts and has particular skill in defending commercial class actions against alleged violations of the California Business and Professions Code § 17200, as well as wage and hour and shareholder derivative class actions. In addition to his significant litigation experience, Mr. Frey provides transactional advice on corporate matters including employee-related concerns associated with mergers and acquisitions and executive employment agreements. He also has substantial experience representing clients across a wide range of industries in a variety of business matters including those involving distribution deals, partnership agreements and other contract negotiations. Mr. Frey represents Fortune 500 companies, as well as prominent hospitals and healthcare groups. He also represents sports and entertainment agents and has provided counsel to movie studios and independent film producers on guild and labor matters.